Written by Leah Lintner Eisenbeis. 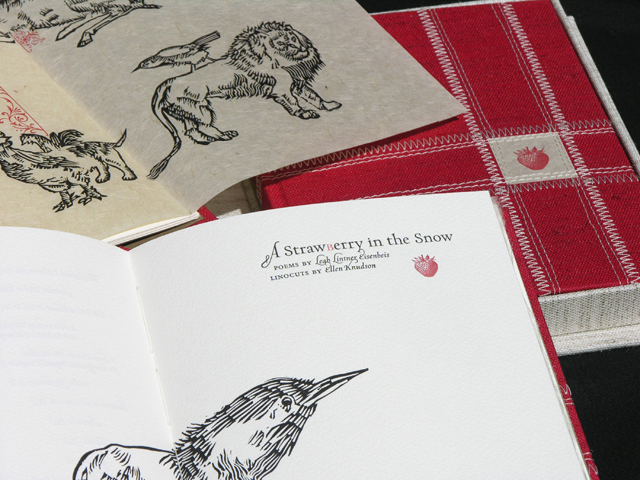 Designed and illustrated by Ellen Knudson. 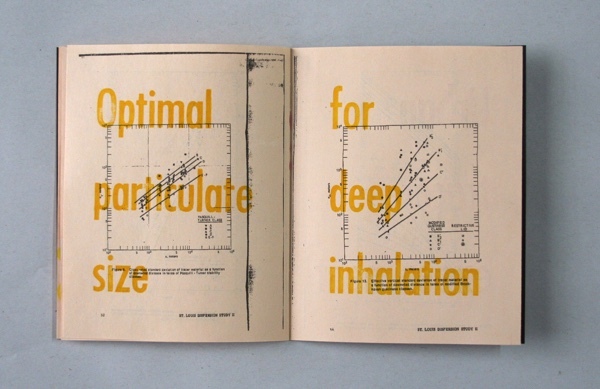 Typeset in Bembo and Incognito types letterpress printed from photopolymer plates on Hahnemuhle Biblio paper. 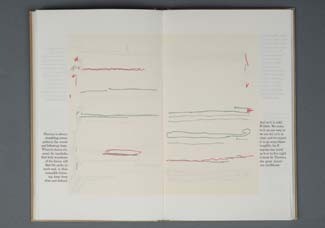 The two large fold-outs in each book are printed on Kitakata. The binding is french-sewn and bound in a full-cloth, built-in groove, flat-back case. Each copy of the book is contained in a handmade clamshell box. The cloth for both the book and box is decorated with stitching done on my Janome sewing machine. 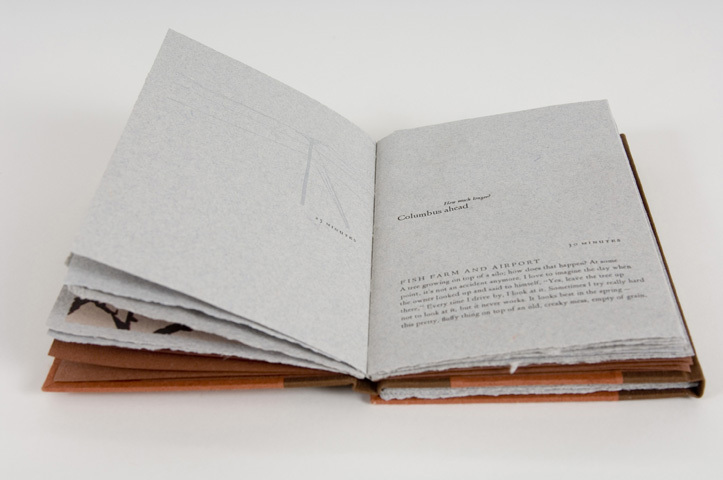 Ellen Knudson is a book artist producing handmade books under the imprint Crooked Letter Press. 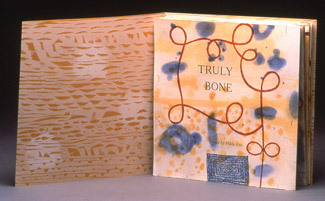 She is an Associate in Book Arts at The University of Florida with an MFA in Book Arts from The University of Alabama. 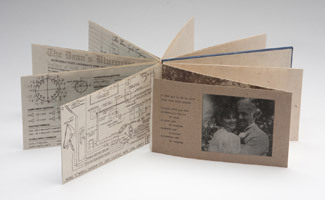 Ellen has been a book artist for 17 years and a graphic designer for 20+ years. She has taught courses and workshops in letterpress, book arts, and design at universities and arts programs around the U.S. Her work is in the collections of San Francisco Museum of Modern Art (CA), Yale University (CT), Duke University (NC), and many other national and international collections.